Not in Holland? Find Your Location and Call for a Quote! 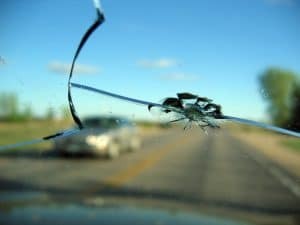 If you’re in Holland, MI or the surrounding areas and need a windshield replacement or windshield repair services, let Action Glass serve you! We specialize in auto glass repair and replacement and have been at this since 1987! Action Glass will meet or beat any competitors advertised price for auto glass repair in Holland, Michigan! Action Glass will come directly to you and get the job done right, whether it’s a car, truck, SUV, semi-truck or motor home. We can even bill your insurance directly, so you don’t have to deal with it. Give us a call for your Holland, MI auto glass repair, windshield repair, or windshield replacement needs! Action Glass serves the greater Grand Rapids auto glass repair needs and West Michigan area including Jenison, Grandville, Wyoming, Kentwood, Hudsonville, Jamestown, Borculo, Zeeland, Holland, Allegan, Fennville, Saugatuck, Hamilton, Dorr, Byron Center, Caledonia, Alto, Alaska, Cascade, Ada, Lowell, Ionia, Belding, Rockford, Cedar Springs, Sand Lake, Sparta, Peirson, Grant, Grand Rapids, Ravenna, Walker, Standale, Comstock Park, Kenowa Hills, Coopersville, Allendale, Nunica, Muskegon, Twin Lakes, Grand Haven, Spring Lake, West Olive, Olive, Allendale, Wayland, Gun lake. The map below shows our general service area. Call for details!